I'm eating a crappy school lunch piece of pepperoni pizza while phoning on this forum. At least my school day will be over come 2 o'clock. My mom bought me Crayola Hair Color Stix. It comes Wild Blue Yonder & Electric Lime & Razzmatazz which like a pink. Tonight after supper I try to put the Wild Blue Yonder on my hair. Mum made Spaghetti with meat sauce for dinner and a side salad and some garlic bread. It tasted really good. Now I am stuffed. 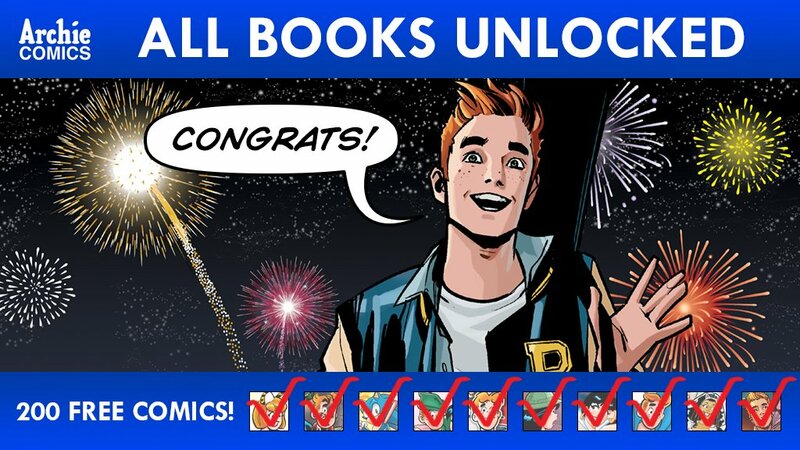 I have been exploring the Archie digital app which I think is pretty cool especially since I came across 3 FREE comics that I can read and they all seem to have to do with Kevin Keller. There is nothing wrong with free comics. So I have read 1 of them and have started the 2nd one. Later I will take a shower and then go to bed. There is a month and a half, there were 200 free comics. I going to take my shower now and listen to some music and read the final FREE digital comic which is Veronica #205. This is the one when Kevin Keller returns. Today I woke up early for school and it looks like it is going to rain which meant all I really wanted to do was crawl back under my covers and go back to sleep but Mum made me get up. I made it through the first half of school and am now eating lunch which I did pack today. I am having chicken noodle soup with crackers and raw carrot sticks and an apple juice. School is over at 2 p.m. for me and Mum will pick me up and I will do my homework and then probably listen to music in my room because it is crappy outside. Home from my trip and i am so sad, i want to go back. Finished my homework for today and now I have a little time finally to read the new FREE Veronica comics on the digital app. Well this morning I was on Amazon & saw that had Archie Volume #2 to preorder. I jump at it. I also preordered a B & V Friends Jumbo Comics #250 from Midtown. I got 2 comics in the mail. Archie #1-with the Chip Zdarsky cover & Jughead #2 from archie comics.com . My aide took my picture in front of my cherry blossom tree. They grow in April. And we went to the library. I got 2 books & 4 cds out. And we went to Popeye's for a soda & fries. And we looked in Walgreens. My hairdye wasn't on sale. I bought my mom & I each a rice ball for supper. This evening I had Sesame Chicken with Pork Fried Rice and an Egg Roll for dinner. I just finished up with a shower now I am just about ready to tuck myself under the covers for a nights sleep. Still at work. 7:30 am til 11 pm today.